The films I watch, and document in these moving pictures posts, are pretty much dictated by the rental services I use. While I might set the priorities for the various movies on my rental lists, it’s still random what actually gets sent to me. But then, of course, there are those DVDs and Blu-rays I’ve actually purchased for myself (usually because I want to see them and they’re not available for rental, like the, er, Benning DVDs). So, anyway, more films, of varying degrees of obscurity and/or classic status. 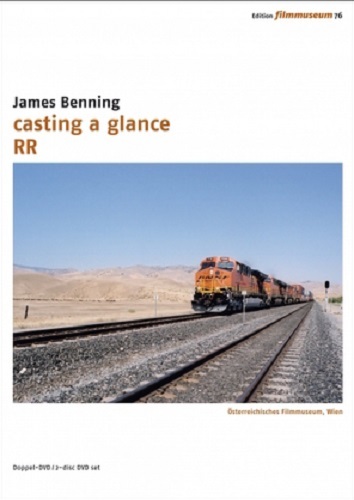 RR / casting a glance, James Benning (2007/2007, USA). RR stands for “railroad” and that’s pretty much what you get – 77 minutes of middle-distance shots of US locomotives travelling across the screen, some on urban railways (not “railroad”, because I am British) and some on tracks passing through some amazing landscapes. There is no voiceover, no scrolling text, just ambient noise. I now have some experience with Benning’s films, and while I can certainly sympathise with his desire not to compromise in art, RR is much harder film to watch than others by Benning I’ve seen. It follows in broad form his other works, but its lack of concessions to the viewer can make for difficult viewing. It is, like his other films, often mesmerising (I keep on using that word, I must find another one), and the landscape of the North American continent is in places absolutely stunning (yes, even with a railway track running through it). Benning’s films are an acquired taste, but totally worth it. And yet… casting a glance even manages to test a fan’s endurance. It is a series of shots over two years of Robert Smithson’s artwork ‘Spiral Jetty’. Which is exactly as its name says – a jetty made of stone, in spiral form, in the Great Salt Lake in Utah. What makes this film especially interesting is that although Bennig filmed the artwork over a two year period, he actually documents its lifetime since its creation in 1970 – as the sixteen shots of it depict “the historical water levels (mathematically reconstructed)”. 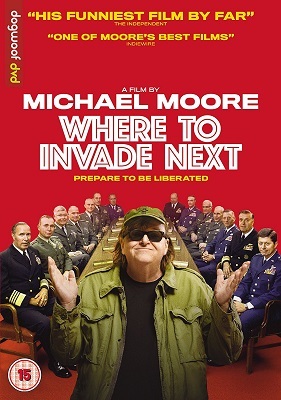 The end result is more like a screensaver than any other Benning film I’ve seen, but still manages to keep interest. 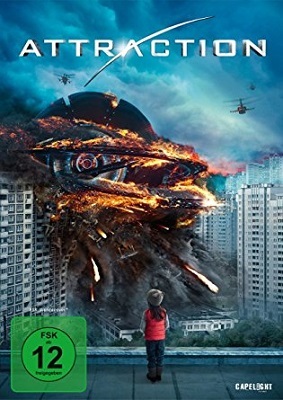 Narrative does intrude at one point, when the ambient noise is replaced by the song ‘Love Hurts’, a film released in the same year that Smithson died. I totally agree with making the viewer work to understand a film – culture is not babyfood, it should not be spoonfed – but Benning’s extra-textual references are often just too… extra. I still love his films – and the more about them I learn, the more I love them. But like Sokurov’s movies, there is a story taking place outside of the story on the screen, and knowledge of that totally changes the viewer’s perspective. I have maintained for years that X-Factor is a cross-platform event – the television show makes little sense unless you’ve been following the various dramas in the gutter press. I love the idea of cross-platform and extra-textual intellectual properties – a sort of implementation of Frank Zappa’s “interconnectedness of all things” – but it all needs to be available. 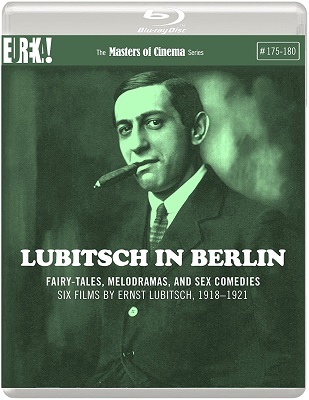 Without the booklets in these Österreichisches Filmmuseum DVDs, I’m pretty sure I’d miss a lot of the commentary Benning embeds in his films. Which is a shame. 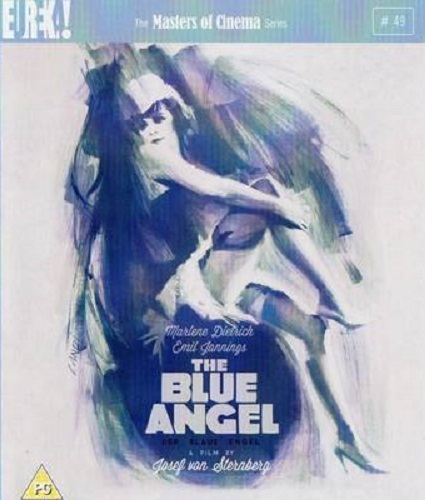 The Blue Angel*, Josef von Sternberg (1930, Germany). This is the film from which Marlene Dietrich’s public persona likely depends. It’s certainly the source of the most iconic presentation of her. The title refers to a nightclub in Weimar Republic Berlin, at which Dietrich’s character performs. However, the actual focus of the story is the schoolteacher who falls under Dietrich’s spell. Initially, he goes to the club to remonstrate with its star because naughty postcards of her (which she sells as souvenirs) are distracting his students. But he falls under her spell, and returns to watch her so often that he marries her, loses his job and ends up working as a clown in her show. The film was banned by the Nazis, which is obviously a point in its favour – but for all that it seems a fairly unexceptional film. I’ve no way of judging if it was more titillating than was the norm in the 1930, but there’s little enough in it that clearly signals it as belonging on the 1001 Movies You Must See Before You Die list. I’ve seen a number of films from the same era that were clearly innovative, if not seminal, for the period, or that simply stood out for a variety of reasons. The Blue Angel, sadly, is not one of them. 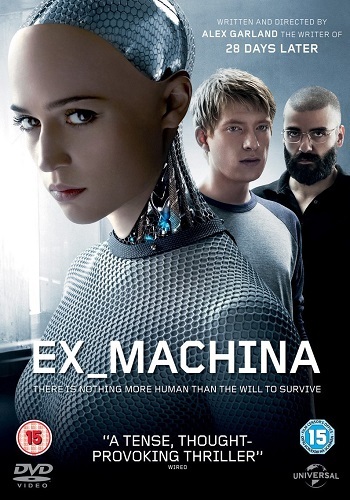 Ex Machina, Alex Garland (2015, UK). 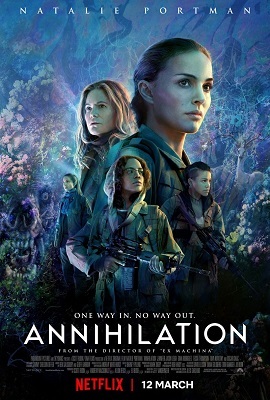 I’d seen this film highly praised, and while I may be perverse, I’m not so perverse I’ll dislike a movie because it is popular – although certainly what I value in a film is not what most film audiences seem to. But ten minutes into Ex Machina, a movie I was expecting to be about AI, and all it appeared to be about was some ultra-rich knob who lived in the middle of nowhere (how did they supply his house?) and I was already thinking bad thoughts… only for it be pointed out on Twitter that this was the desired response. The person behind Ava, the AI robot (as seen on the DVD cover, because of course you’d give an AI a human face and a chicken-wire body), is meant to be an entitled prick. Because that then pushes the viewer’s emtional engagement onto Ava. The poor old programmer, Caleb, invited by Nathan to his billionaire hideway – and who has to be asked, “Do you know what the Turing Test is?” Of course, he does, he’s a programmer – finds himself a patsy for both Nathan and Ava by turns, and the fact he is emotionally engaged with the AI only makes you wonder why Garland chose to stack the deck so heavily in Ava’s favour. And having done that, the end of the film can hardly come as a surprise. I really didn’t like Ex Machina. 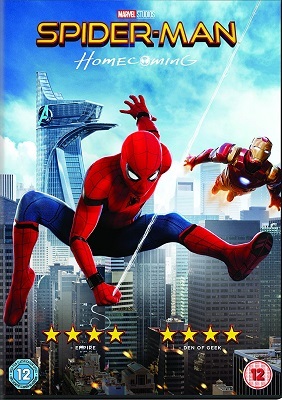 I found it annoying, crude and a not very intelligent study of its premise. I much preferred the far less pretentious Chappie. October* Sergei Eisenstein (1927, Russia). I picked up a copy of Sergei Eisenstein Volume 2 at the end of last year – it contains Alexander Nevsky, Ivan the Terrible Part 1 and Ivan the Terrible Part 2 – but volume 1 proved much harder to find (since it had been deleted several years ago). Admittedly, I already owned a copy Battleship Potemkin and Strike, and October wasn’t exactly hard to find on DVD… but I wanted Volume 1 to go with my Volume 2, so I hung on until one popped up on eBay. Which it did. For a reasonable price. So I bought it. And I’ve now watched October twice and I’m still not sure what to make of it. For a start, it’s unashamed propaganda, a cinematic reconstruction of the October 1917 revolution, featuring many of the people who were involved in the actual event itself. Also, Eisenstein uses a surprisingly large number of modern cinematic techniques – or rather, techniques that have become standards in film-makers’ lexicons and are now used so unthinkingly that their origin is ignored. 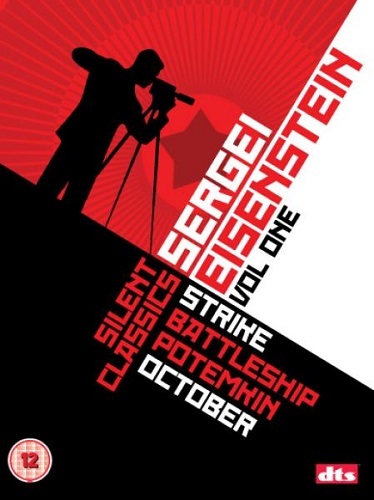 Anyone looking to put together a DVD collection of important films really should include both the Eisenstein collections (assuming they can find copies, that is). 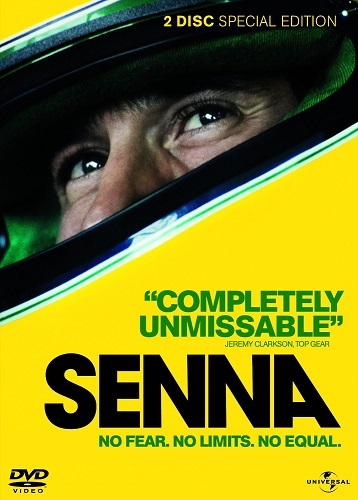 Senna*, Asif Kapadia (2010, UK). 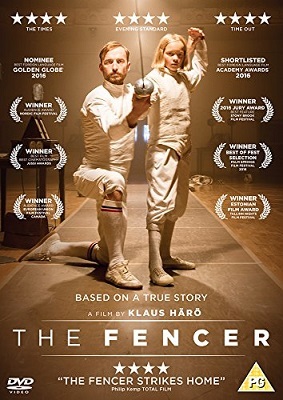 This was available on Amazon Prime and since it was on the 1001 Movies you Must See Before You Die list, I watched it, despite motor racing being a sport in which I have zero interest. (Not that there is in fact any sport in which I have a more-than-zero interest.) Unsurprisingly, I found much of Senna not especially interesting, although I’d known almost nothing about Ayrton Senna prior to watching the film and he at least did come across as an interesting person – although chiefly through his work to improve the safety of F1 Racing – a sport in which a handful of rich pricks risk the lives of drivers in order to further line their own pockets, which is frankly disgusting. In fact, F1 comes across as little more than a playset for billionaire regressives. It’s telling that since Senna died and the increased safety he campaigned for came into effect, there has been only a single death during a race – and that was last year, ten years after Senna’s death. Having said all that… I’m not really sure why this film is on the 1001 Movies you Must See Before You Die list. Categories: film review, films, moving pictures 2015 | Tags: alex garland, asif kapadia, jacques rivette, james benning, josef von sternberg, sergei eisenstein | Permalink.